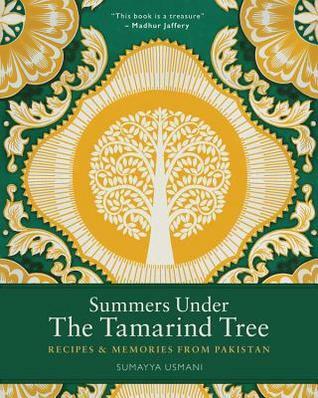 Part photo album, part cookery book, Summers Under the Tamarind Tree draws you into her family and her love of food. She clearly explains the cooking methods needed to replicate her recipes at home and offers lots of helpful notes on spices - understanding both of these will ensure that your dishes will have a true taste of Pakistan. My idea Pakistani food day would begin with Cholay ka salan (chickpea curry with tomatoes) for breakfast, a snack of Shakarkandi (baked sweet potato with chaat masala), Attock chapli kebab (minced beef flat kebab with pomegranate chutney), Hunter Beef and Tandoori roti for lunch. Dinner would be a feast of Karhai ginger chicken, Lahori fish, crispy Bhindi and a Chapati kachumber salad with a cooling Peshawari falooda (pistachio icecream float) for dessert. Intrigued? Then I think you'll really like this book.